Weight loss is never easy but having a strong support system is essential, which is why Mario R. Perez, MD, and the staff at SunCoast Premier Medical with locations in Clermont and Davenport, Florida are available to help struggling patients meet their fitness and weight goals safely. From the initial assessment to the successful maintenance phase, Dr. Perez provides a customized program that helps patients create a healthy lifestyle. As the name suggests, medical weight loss means losing weight with a fully trained medical staff in your corner. Not every weight-loss strategy is right for every patient, and a poor strategy leads to failure that affects you both physically and emotionally. With this medical-weight loss service, Dr. Perez evaluates the needs of each patient and develops a plan that will include more than just calorie reduction. Dr. Perez incorporates a holistic approach to dropping those pounds that ensures it is done safely and effectively without detrimental side effects. What Diet Plans are Available? Weight loss is essentially a math game that requires each person to burn more calories than they eat. For most people, that will mean counting calories and cutting back. SunCoast Premier Medical provides a number of options to help you reach your goal, depending on your current health and weight loss needs. A reduced-calorie diet, for example, provides a balanced meal plan patterned around the number of calories the patient can eat and still meet their weight-loss goals. Full meal replacement, by contrast, provides a nutritionally balanced replacement product for mainstream meals like breakfast. This is usually given in the form of a protein shake that has enough fiber to be filling and healthy at the same time. Is Medical Weight Loss Only About What You Eat? Weight gain isn't always about what someone eats. It may be more complicated than just snacking on candy bars. For some people, weight gain is connected to a poorly functioning thyroid or perhaps a specific hormone imbalance. It might relate to emotional issues, as well or a lack of exercise. The SunCoast Premier Medical weight-loss service takes these factors into account plus the patient's overall health to create a strategy based on realistic and actionable goals. 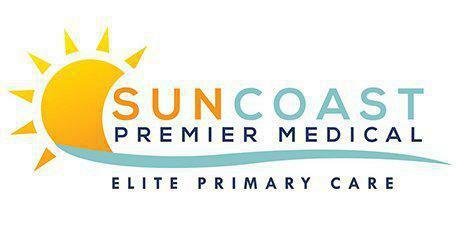 At SunCoast Premier Medical, most major insurances are accepted. For a complete list, please call our office before the scheduled appointment and speak with one of our knowledgable staff members to verify coverage.